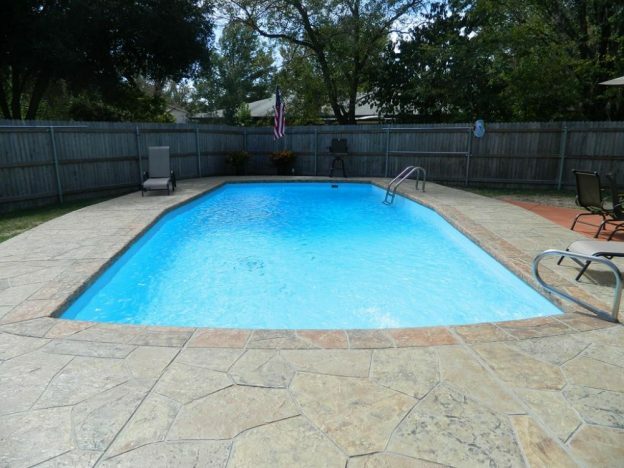 Denton TX Pool Remodeling Job - Texas Fiberglass Pools Inc.
Texas Fiberglass Pools Inc. resurfaced the swimming pool with new fiberglass. 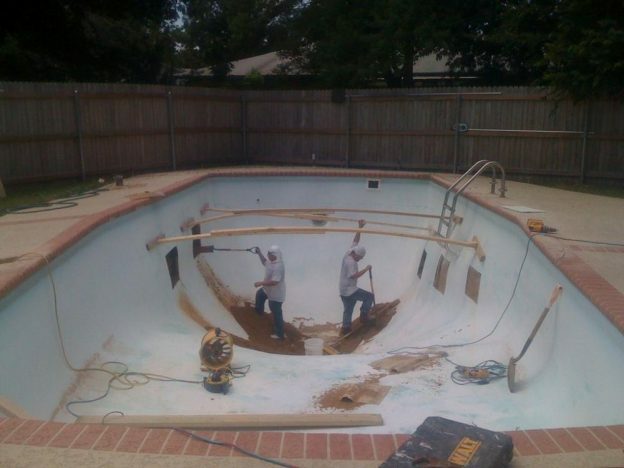 Swimming pool repair was required due to bulging on the deep end. This was corrected by replacing sand back-fill which had settled with gravel for better and long lasting support. Lastly, deck resurfacing was done to create a stone-look finish, which the customer loved.